Our kit for the Kawasaki KLX 250 gives the Kawi a bunch more low and mid-range power over the stock carburetor, while maintaining the top end power, even though we dropped the size to 30mm. The kit comes with everything you need to convert to the OKO, including a sleeve for the spigot and a sleeve for the air box hose (shown is our customer's sleeve). We aren't sure if your throttle cable will work as this bike needed a new cable. 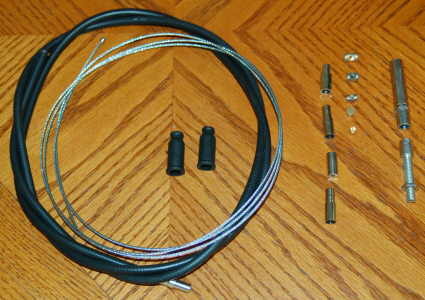 The kit does not include the cable, but it can be ordered below at a reduced price when purchased with the kit.